Due to Florida Chapter 386, which regulates and prohibits smoking in public places, please be aware that smoking is NOT permitted in the common areas of our building. This regulation is specifically drafted to prevent secondhand smoke dangers to others. Therefore, smoking is not permitted in the elevator, along the walk-ways, stairways, sidewalks, or any other outdoor common area. This includes when walking to and from your car and from or to your unit. Although this regulation does not prohibit you from smoking within your unit, please be mindful and courteous of your neighbors when smoking on your balcony. Also, as we all live under the same roof, to prevent the possibility of a fire please be careful with disposal of cigarette butts in your trash to ensure they are completely extinguished and avoid smoking in bed. Additionally, littering of any kind is strictly prohibited which includes the disposal of cigarette butts on the lawn, landscaping areas, over the railings, parking lot or any other common area. Smoking in or along common areas, or the disposal of cigarette butts in common areas will result in fines being accessed to the owner. The Board of Directors have observed discarded butts along our building entrances and walkways. This is both unsightly and prohibited per rules and regulations with regard to littering. Please advise your guest of these restrictions as per our condominium rules and regulations, owners are responsible for the conduct of their guests. 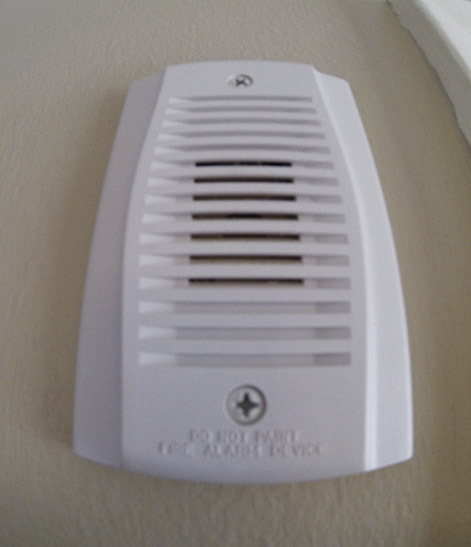 Photo of alarm in each unit. During the mandatory testing of our building’s fire alarms last week, the agent observed and confirmed that the alarm inside one unit on the eastern side of our building appears to have been deliberately disconnected. If you disarmed the alarm in your unit please reconnect it now so you are adequately notified in the event of a fire emergency. The disconnection appears on the control panel that will be checked during the upcoming inspection by fire prevention officials, and can cause our Homeowners Association to be charged a penalty. The HOA Board advises residents who stored items outside of their cabinet in the storage rooms that those items were disposed over the weekend of Oct. 31. In this instance the disposal was done as a courtesy. 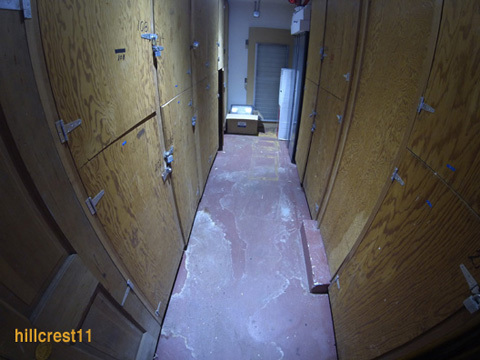 Future disposal of items inappropriately stored in the storage rooms may incur a disposal cost for the property owner. Reminder: Announcements and updates from the HOA Board and Hillcrest Presidents’ Council are posted on the bulletin board near the elevator on each floor. Every unit owner should have received a mailing that addresses the Hillcrest 11 bylaws that pertain to long-term guests. Recently, our HOA Board encountered four unit owners who did not register their long-term guest or had guests (renters) live in their unit in a manner that was sneaky. In one instance, unauthorized tenants were discovered when a realtor came to show a 2-bedroom unit advertised as a rental. The new parking permit policy has been useful in identifying such misconduct. These incidents are alarming and triggered swift response from the Board to discourage further breaches. As you are aware, being an owner in a condominium building means you are a cooperative owner, along with the other residents in the building. Your monthly maintenance payments pay bills for the building: electric, water/sewer, waste collection, cable TV, elevator service, landscaping and janitorial, to name a few. There are also annual bills such as, certification and inspection of fire alarms and extinguishers, the elevator, as well as building insurance. Each year these costs are presented and approved during an annual budget meeting and incorporated into your monthly maintenance payment based on your percentage of common ownership. When an owner of our building does not pay, or fails to pay their monthly maintenance in a timely manner this causes an unfair situation to the remaining residents of our building. Effective Wednesday, July 1, 2015 the Guest Parking Pass is only for use during daytime hours (8 a.m. thru 11 p.m.) The Guest Parking Pass must be displayed on the front dashboard of a guest’s vehicle parked for more than one hour at Hillcrest 11 during daytime hours of 8 a.m. thru 11 p.m.
After July 1st DO NOT USE Guest Parking Pass for overnight parking. As a tropical storm or hurricane approaches, you should prepare your condo and balcony. Immediately upon announcement of a Hurricane or Tropical Storm Watch, all residents must bring all personal items inside. Nothing can be left outside that the strong winds will blow away! Turn down the temperature on your freezer and refrigerator as low as possible. This will buy you more time in the event of a power loss. 24 to 48 hours before will cool the food. Avoid opening them whenever possible. If you are evacuating, probably unnecessary. Before you evacuate, call at least one person out of state to let them know your plans. Ensure that your Hurricane Emergency Kit is fully stocked. Charge electronic devices, for example, computers, cell phones, rechargeable batteries, razors, and the like. Make extra ice, bag it – this will be useful to use and to keep the freezer cold. Do the same with your home air conditioner. It gets very hot and very humid very quickly. If you are evacuating, this is not necessary. If you have a generator, do NOT run it inside or near the building. But make sure you have fuel to run it. Clear off your balcony – furniture, tools, decorative items, plants – anything loose that could become a missile. Secure all doors and windows with locks, and shutters if available. Move items that may be damaged by water to higher areas of your home if you cannot take them with you if evacuating. Move them away from windows in case they are broken. Caulk and fill bathtubs – extra water comes in handy for toilets and more.. It may sound strange, but do your laundry, dishes, and take a shower. Why? Because if you lose power, having as much clean as possible will make a big difference. If you have time, help your neighbors. Stay away from flood waters and storm surge. It can be deceptively strong. Be aware of the eye. It may be calm, but winds can and will pick up quickly and could catch you outside. Un-plug electronic devices that are not in use to avoid surge damage. This is less likely that during afternoon thunderstorms because lightening is rare in a hurricane, but it is better to be safe. Know food safety – what is good and for how long. Water treatment – whether water needs to be boiled or not. The repainting of Hillcrest Building 11 is well underway by Chuck’s Painting. They have done an excellent job of preparing the building for the new paint, by sealing cracks, addressing issues with spalling cement by Oscar with Phenomenal Stucco, Inc.
During this process, we had the gutter downspout near the laundry-room rerouted to direct water towards the front of the building onto the front lawn and away from the walkway. We also had to address some roof issues in the center roof area due to issues we have had with the roof leaking and damaging the third floor ceiling which was address by Advanced Roofing. Now that those issues have been addressed the painting project can proceed toward completion. Option Two Wins by a landslide with 23 votes of the 42 units. Hillcrest Building 11 residents were presented with three color schemes for the painting of our building. Option Two won resoundingly with 23 votes. Option 1 and 3 only each received one vote. Voting was open for about three weeks and closed on July 30, 2016. Painting of the building is currently scheduled for the end of August. In anticipation of the building being painted, the drainage line clean-outs were installed outside the laundry room and the dumpster room. Also, the building is being rewired by Comcast which will also replace the old broken wire covers along the building with new metal covers which will then be painted to match the building. When the building is being painted, it is important that awnings and/or shutters are opened so that windows and doors can be re-chalked and the body of the building painted completely. The painter will first pressure clean the building and then apply primer and paint. The work will commence in the front area first and move into the back of the building. Please pay attention to the bulletin board for additional information and notices. Posted in MONTHLY NEWS	| Comments Off on And, The Winner Is . . .
Comcast will begin to rewire the building shortly. They will first run the main wires on the outside of the building, and then will eventually need access into each unit to run the new wiring into the outlet in your unit. This should alleviate some issues some residents have had with the quality of their cable and internet service. Please ensure you look for postings on the bulletin board for additional information. The Board of Directors is having this done prior to the painting of the building. Start by cleaning up any containers left lying in or around your balcony. Put away buckets, pick up toys, and dump any flower dishes kept outside. Other containers might need to stay outside, as well. Punch holes in them so water drains. Keep your balcony screens repaired per the standards of the rules and regulations of our building. Also if you open your windows, make sure your screens are not damaged and have any openings that would allow mosquitoes to enter into your apartment. Protect yourself, your loved ones and your neighbors by ensuring any potential breeding area is eliminated in or around your balconies. When you venture outdoors especially in the evening hours when mosquitoes are most likely to bite, make sure you wear long-sleeved shirts or use an approved bug spray to protect exposed skin areas. For more information on Zika, please click the link below. As Hillcrest Building 11 has five members of the Board of Directors, we will implement the concept of Floor Captains. There will be a Floor Captain on each floor. Residents who have any issues or emergencies with their unit should speak with the Floor Captain on their floor. Additionally, the Floor Captain will be responsible for monitoring their respective floor for any repair or service issues, violations of rules, etc. and report back to the Board. In consultation with Chuck’s Painting, three options have been chosen for residents to make a selection of their preference for the new look of our building. The paint colors were selected on the criteria to minimize costs associated with applying more than one coat. We also tried to appeal to a broad range of tastes which includes a color scheme similar to the existing colors, a slightly bolder color combination, and then a modern sophisticated color scheme. Samples of the paint colors have been painted on the wall outside the first floor laundry area. Renderings illustrating how the building will look with the color options have also been included to make it easier to imagine the end result. The first notice of Annual Meeting was mailed on May 9, 2016 and included the First Notice of Annual Meeting, Voting Certificate, Candidate for Condominium Board of Directors and a Candidate Information Sheet. This is a very important meeting. Please make every effort to attend and participate. The electrical upgrade to our building will commence on Friday, May 20th and continue until completed. This project should take one to two weeks for completion. The electrician, Michael Kovacs, who has done electrical work in our building and throughout Hillcrest will be doing the project. The project will consist of six compression pins being installed on the main electrical line into each unit (three pins at the panel inside the unit, and three pins at the meter in the meter room). Mr. Kovacs will be contacting you each individually to arrange a day and time for him to complete the work in your unit. This is a complete building upgrade, so Mr. Kovacs must be given access into your unit to complete this work.. Please move any items from near the main breaker panel in your unit. The power to your unit will be disrupted for a short time while the work in your unit is completed. This work is required to bring the electrical wiring up to code as aluminum instead of copper was used on the main lines into each unit when the building was constructed. Aluminum is not a good conductor of heat, and this can result in the lines becoming loose resulting in electrical shorts and arching. Thank you for your cooperation in working with Mr. Kovacs so we can have this project completed as soon as possible. And, we apologize in advance for any disruptions and inconveniences. Please take a moment to take a brief survey to let us know how we are doing and serving our residents. This survey is anonymous, unless you chose to provide your information. We have made strides over the last several years to make Building 11 an enjoyable place to come home to, and for your friends and guests to visit. A place proud to call home. However, we would appreciate knowing how you feel and hear areas in which you feel we could improve upon. Please click on the link below to take this brief survey. Thank you in advance for taking a moment to complete this survey. Residents may pick up their digital boxes, set-up, change or upgrade Comcast services.